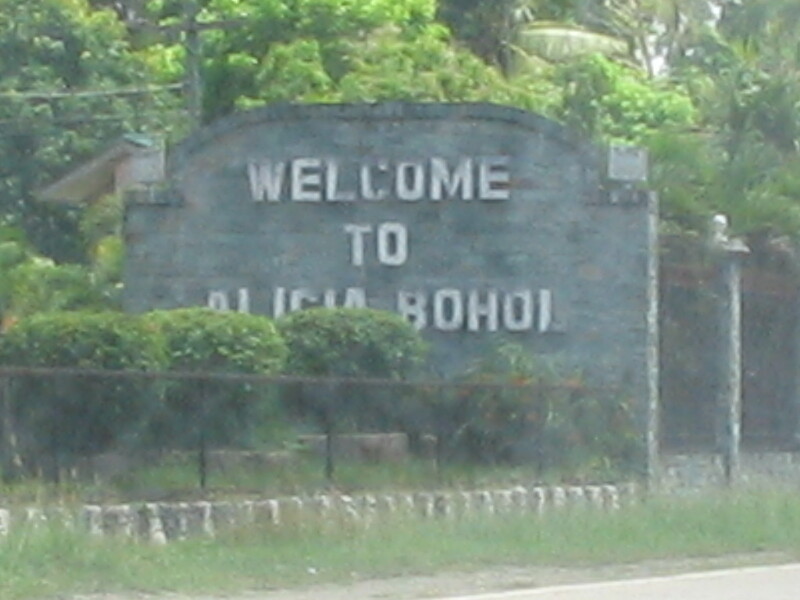 Bohol is the 10th largest island in the Philippines. 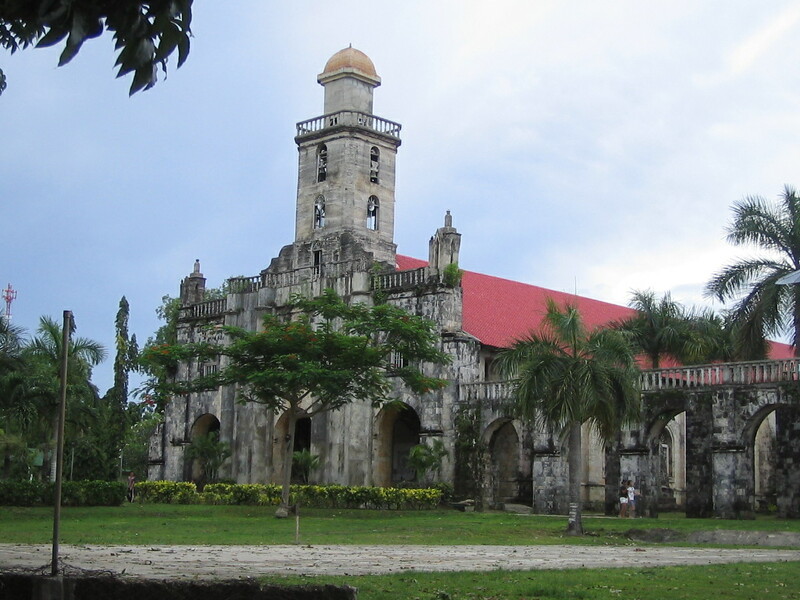 To regular visitors staying for 3 days, seeing the tarsier, the Chocolate Hills, lunching on a raft in Loboc, and having a dip in the white sand beaches of Panglao complete the Bohol experience. 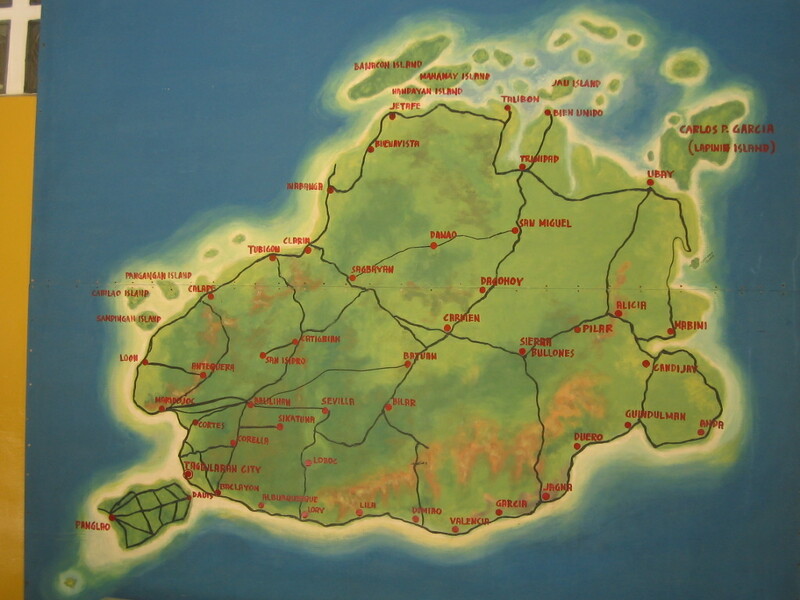 Very few venture beyond Tagbilaran and Loboc. 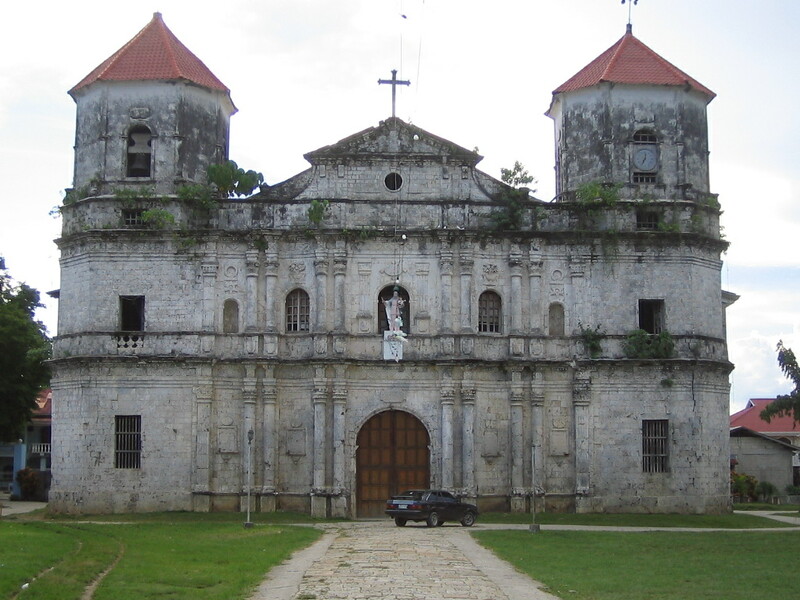 I did, and I traveled to all coastal towns, effectively covering the circumference of Bohol Island. 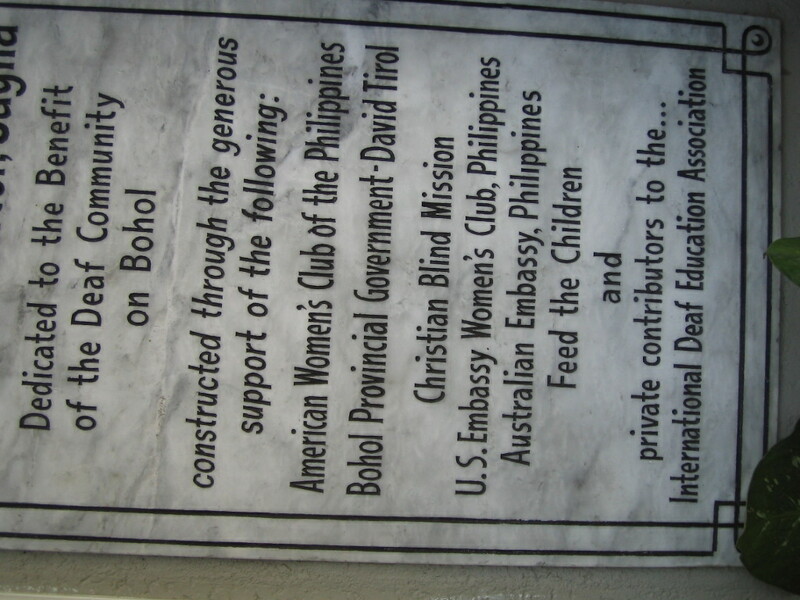 The trip made me want to go back to Bohol and travel to a few of the 73 other islands within the province, maybe staying at least 2 weeks to accomplish this mission. 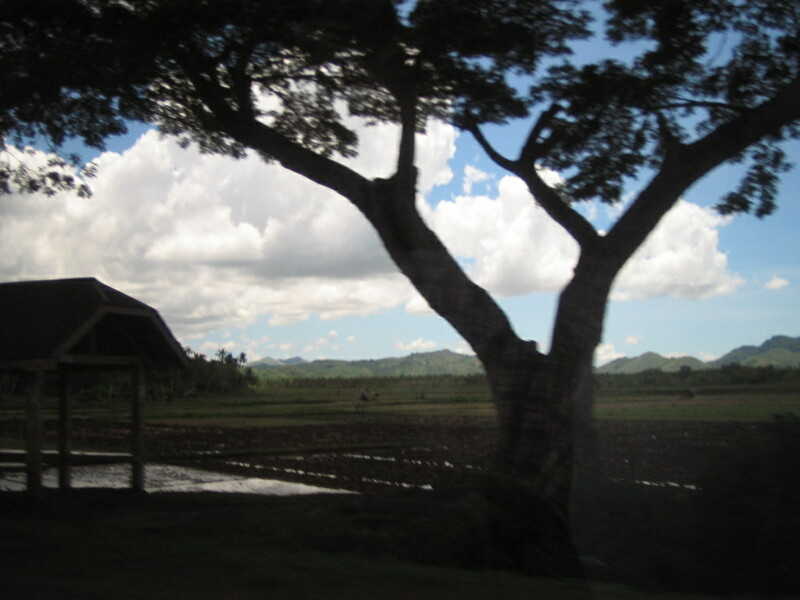 After the typhoon season. 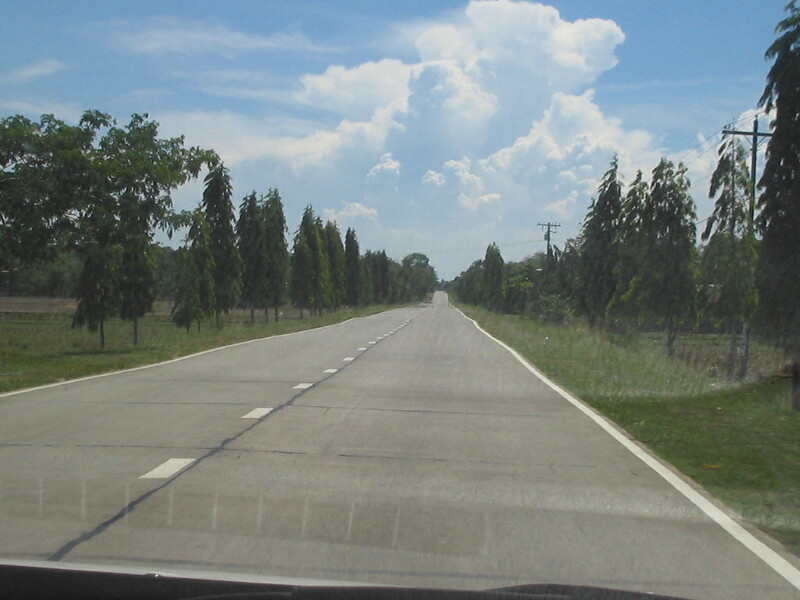 From Tagbilaran and Loboc, the next town via the Carlos P Garcia Circumferential Road is Alburquerque (and no, I did not misspell it). Locals just call the place Albur. 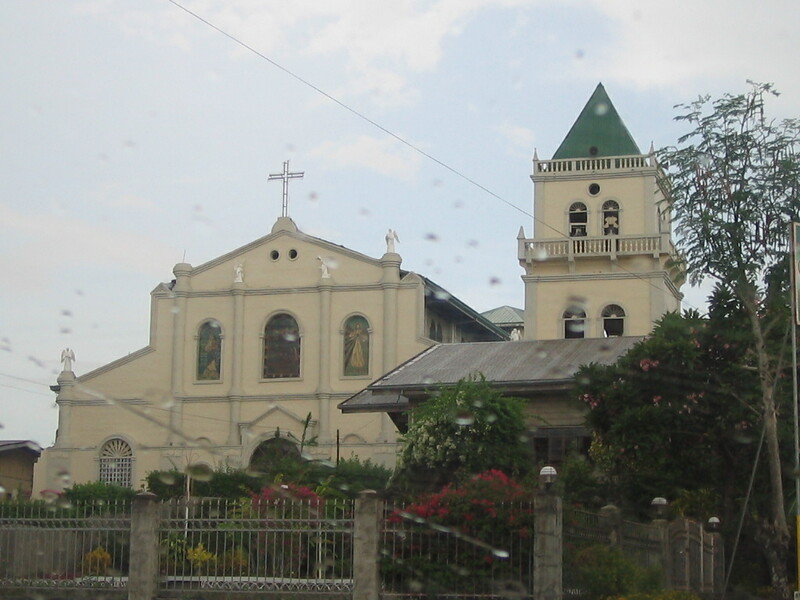 I took a snapshot of the church which I thought had a more impressive facade than the older and much more popular Baclayon Church. 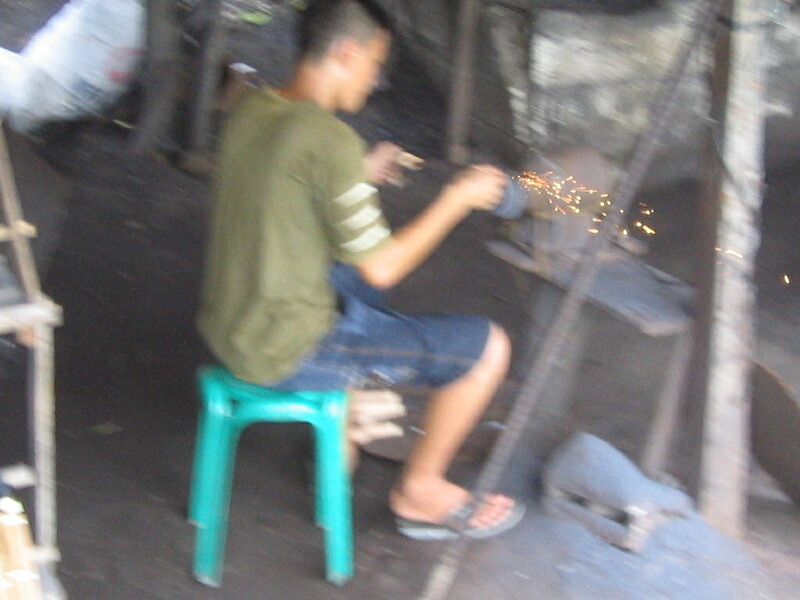 Albur is also where the “balisong” makers are. 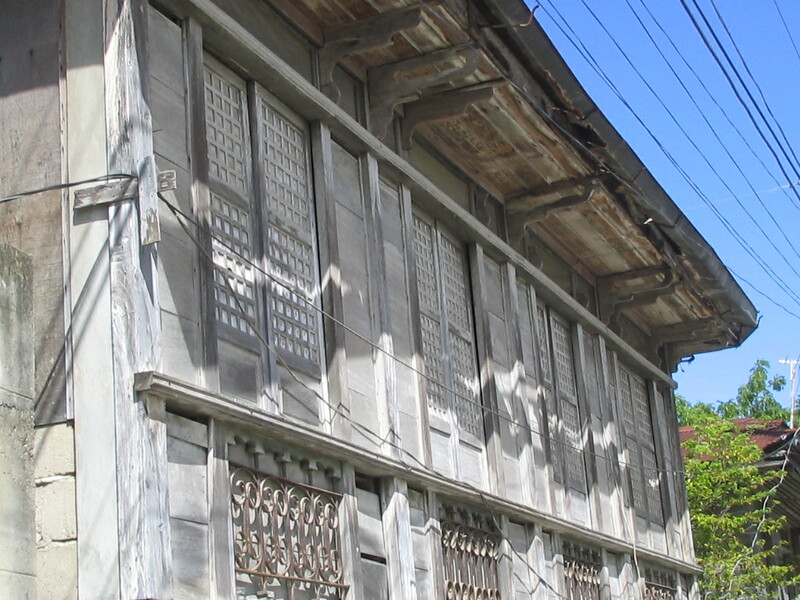 Loay is a town that competes with Loboc in the “lunch on a river cruise” business. 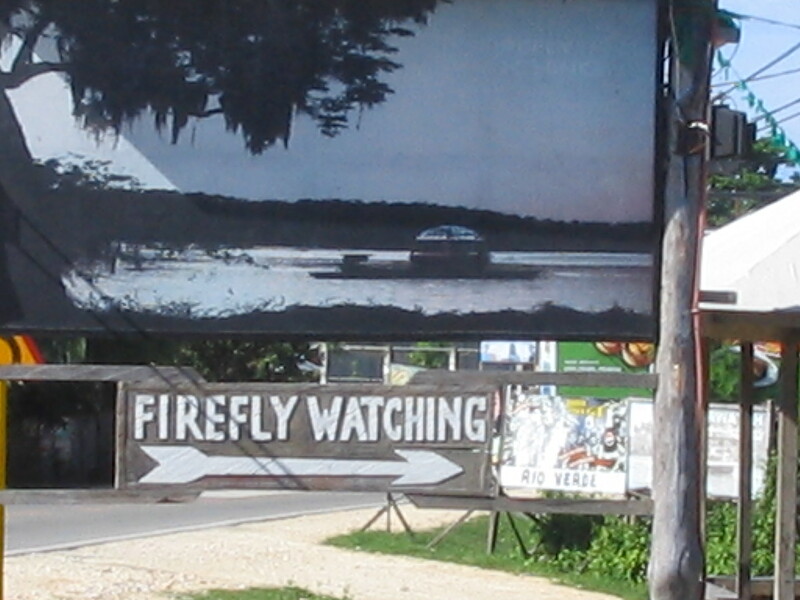 They also hold firefly tours at night. 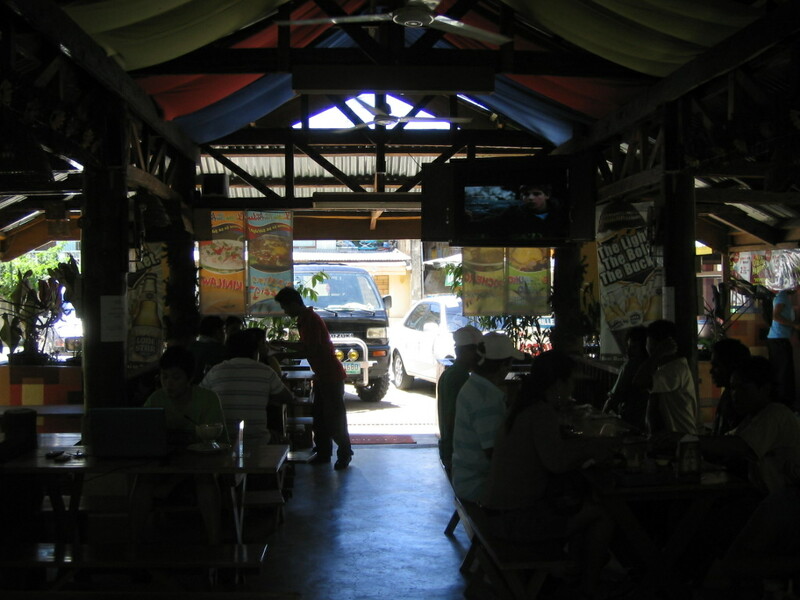 Loay is the major fishport of Bohol, and where fresh catch from Cebu or Mindanao find their way into the markets of Tagbilaran. 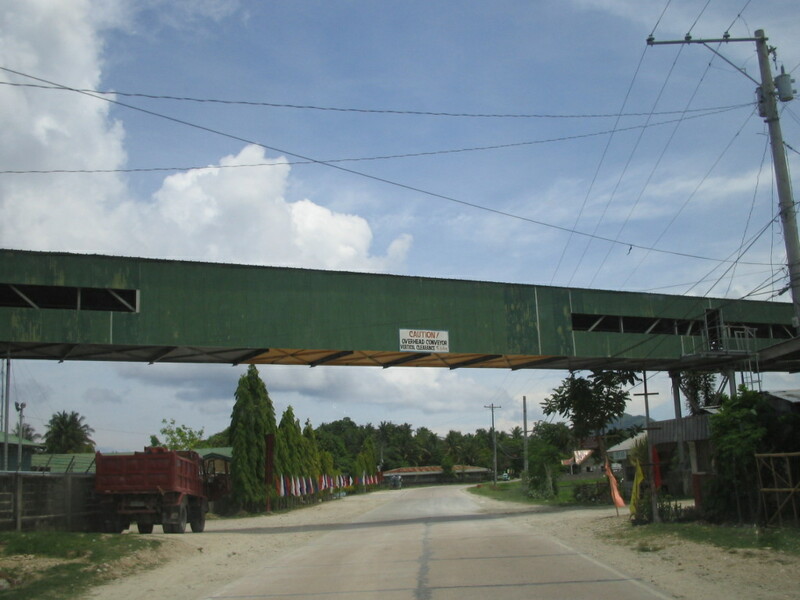 Lila is a progressive town, but does not seem to offer visitors any ‘tourist attraction”.The town was originally part of Dimiao, and then at one point was annexed to still another town, the neighboring Loay. 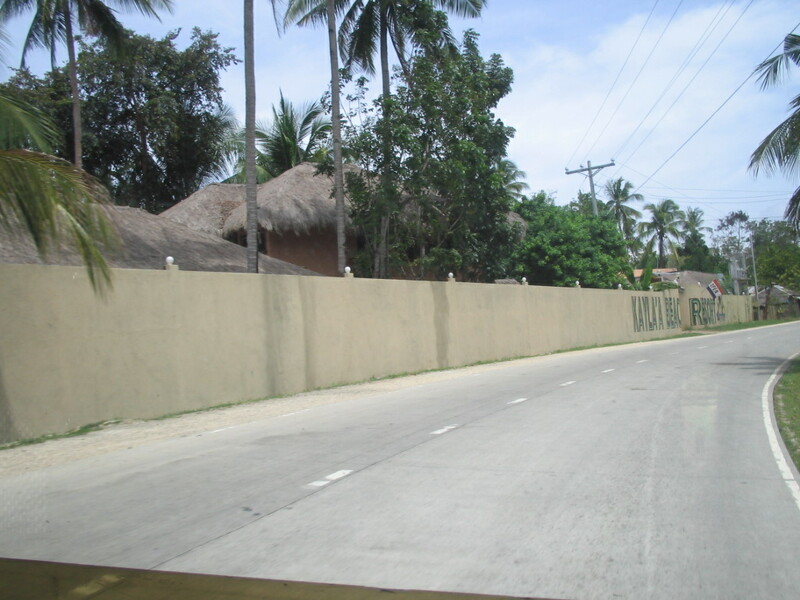 Dimiao is known for Kayla beach resort, the only spot in the town that draws visitors. Kayla is in Bgy. 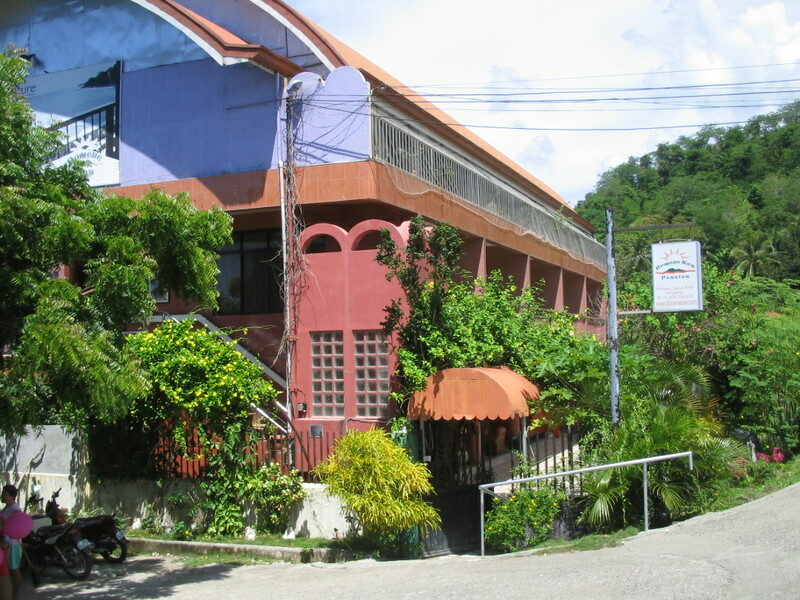 Balbalan and has a white sand beach, with a swimming pool, restaurant, and accommodations. 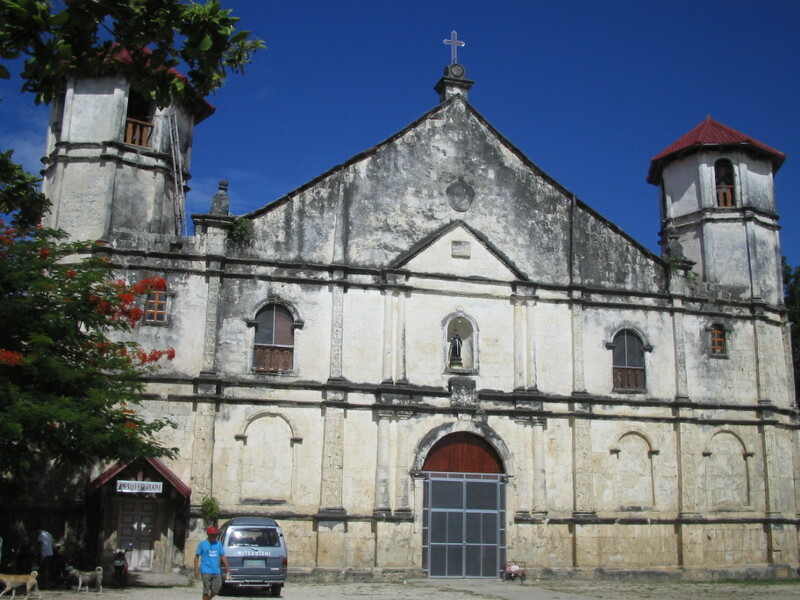 The San Nicolas Church in Dimiao is also a must-see, made with cut stone in a neo Baroque architecture. Valencia is an interesting town. 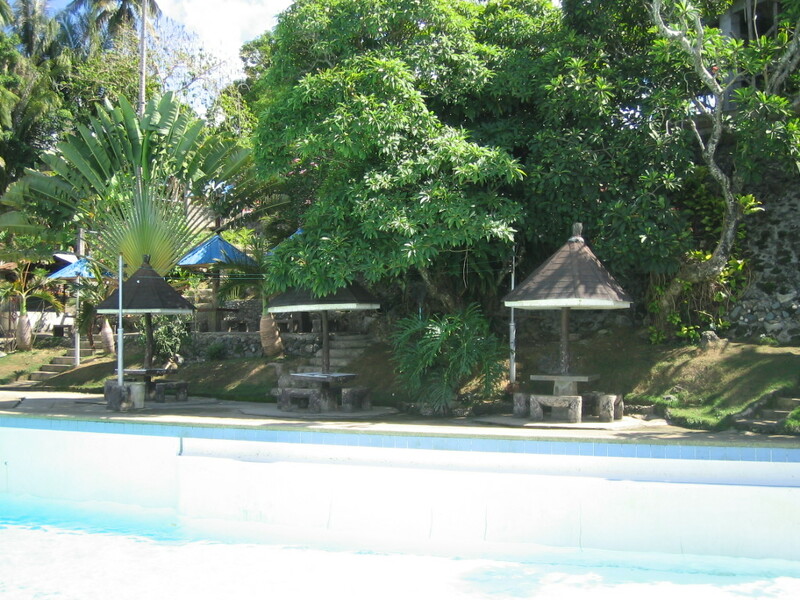 I stopped at Badiang Spring Resort where the swimming pool is fed by fresh spring water. 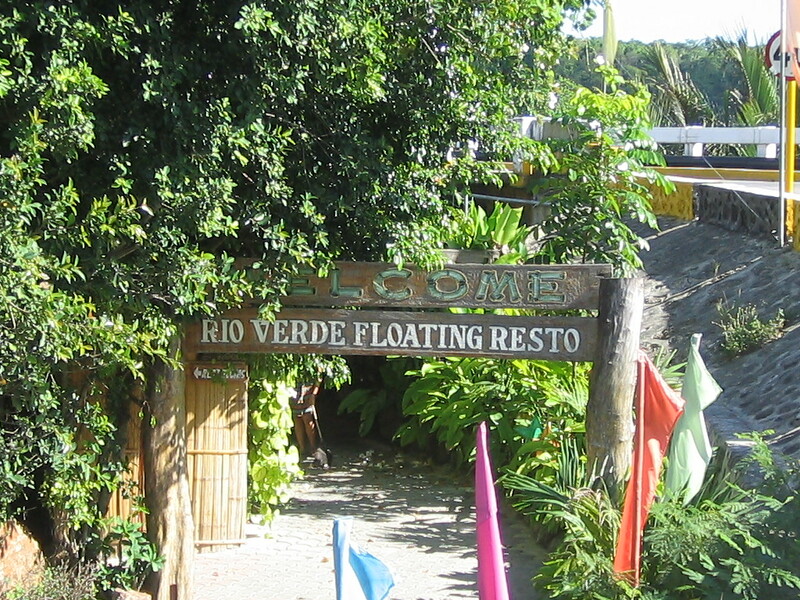 The owners of the resort are currently building a hotel to accommodate out of town guests. 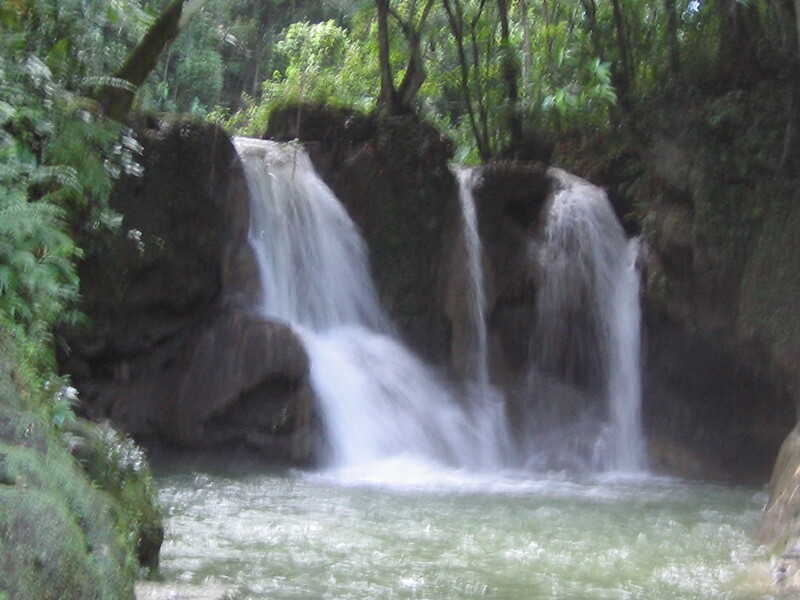 Badiang Spring Resort, with accommodations soon . 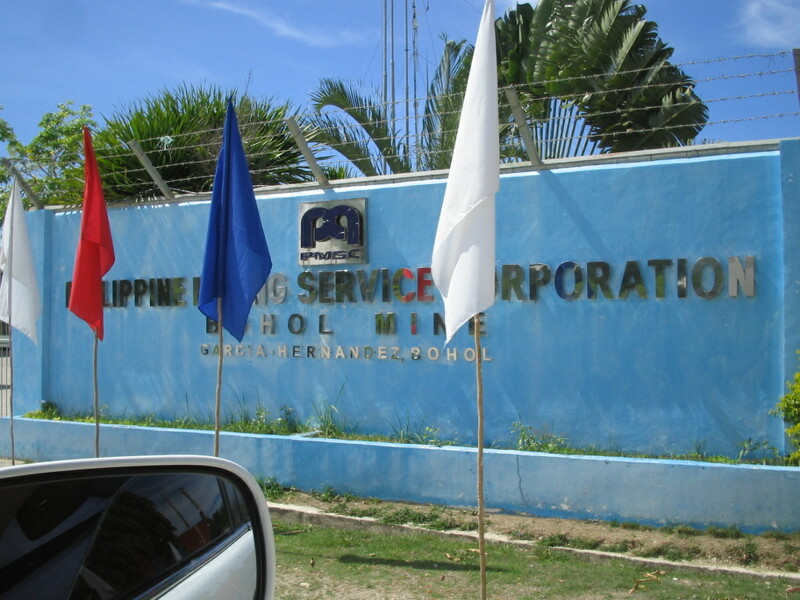 . .
Garcia Hernandez is host to a the Philippine Mining Service Company, and it is the only town with a huge conveyor above the highway, to service the mines on the mountain and the offices on the other side of the road, by the ocean. 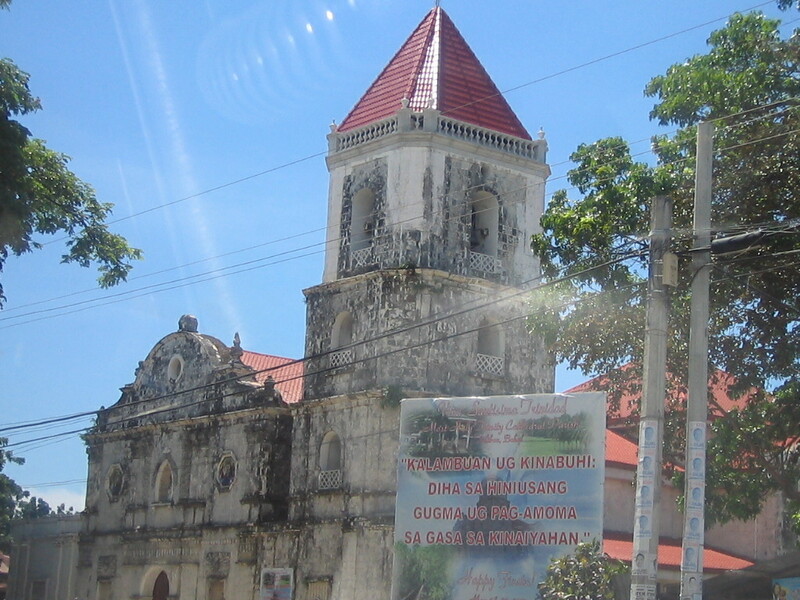 Jagna is a big town and is the gateway to Camiguin from Bohol. 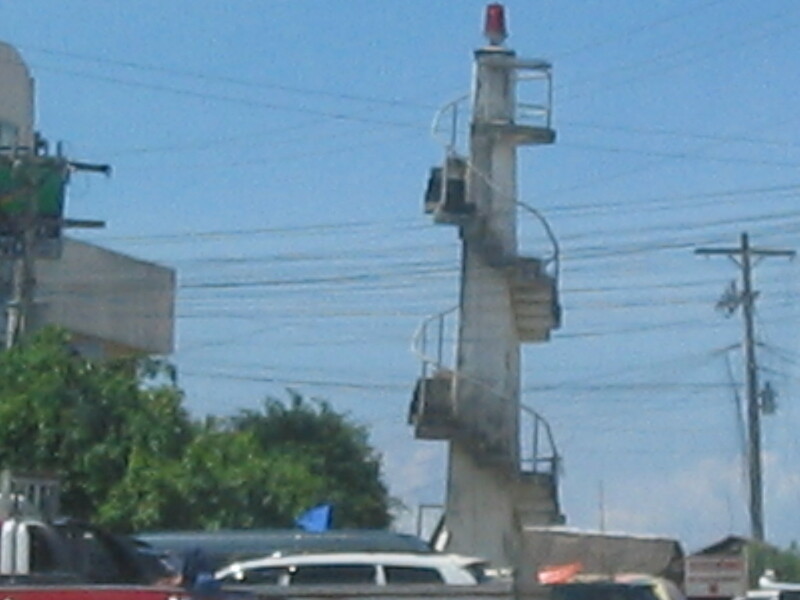 I actually came to Bohol from Camiguin, disembarking from my boat at the port in Jagna. 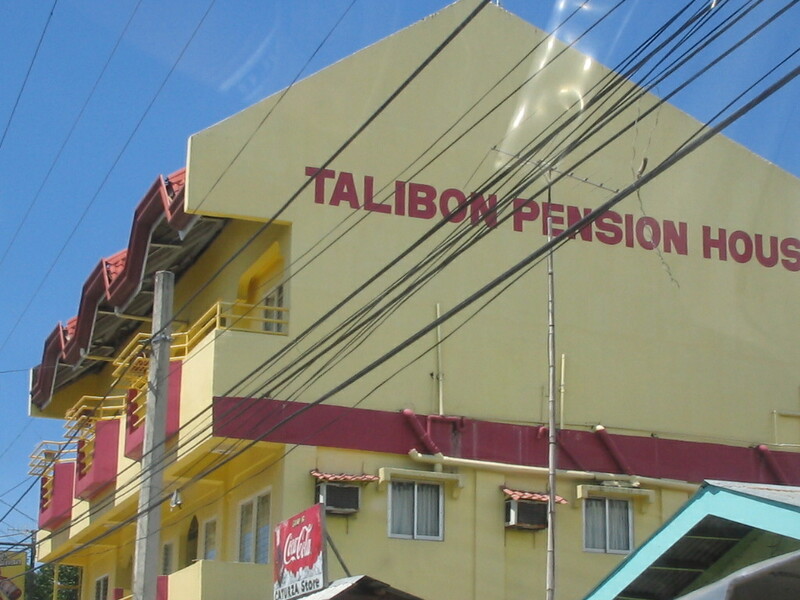 The town naturally has pensions and inns for travelers who miss their boats or who would want to rest before moving to Tagbilaran. 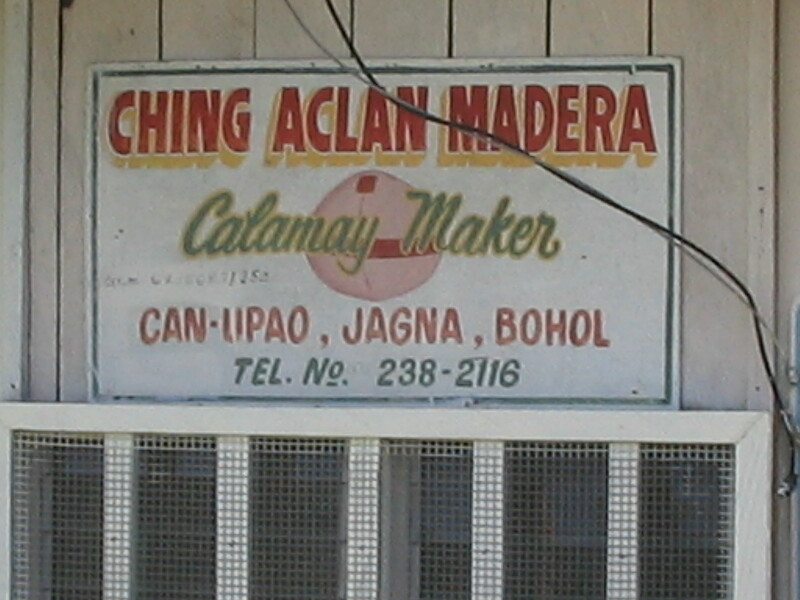 Jagna is the home of the Bohol “calamay”. I bought a piece and requested the owners to see how the calamay is made. 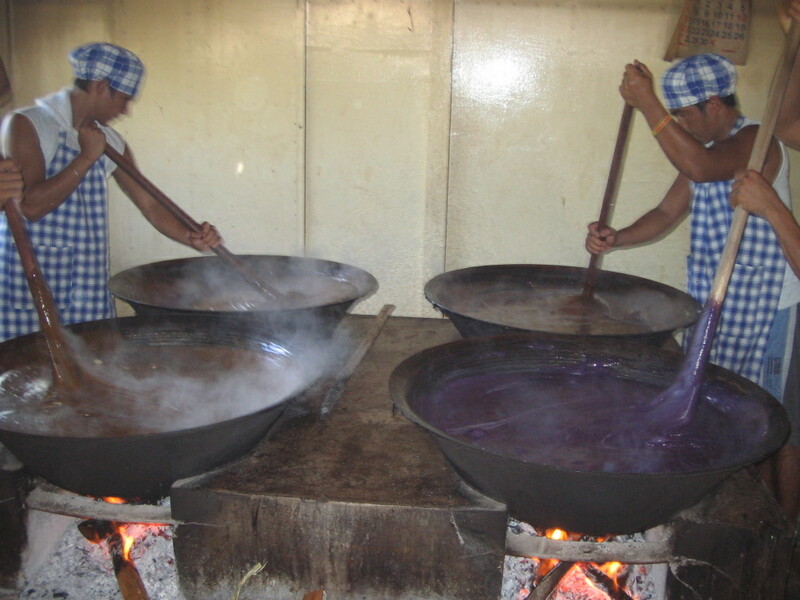 It is made of sticky rice that with sweeteners and other “secret” ingredients are cooked over fire in a huge caldera, continuously being tossed by workers to make them even stickier. 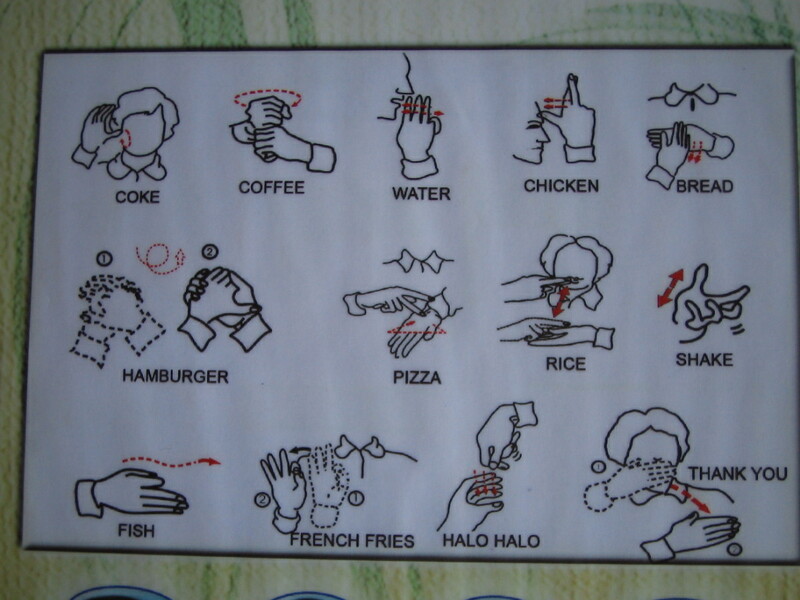 I had coffee at Garden Cafe which is operated by the I.D.E.A., an organization helping the deaf. The adjoining pension house offers spartan accommodations. 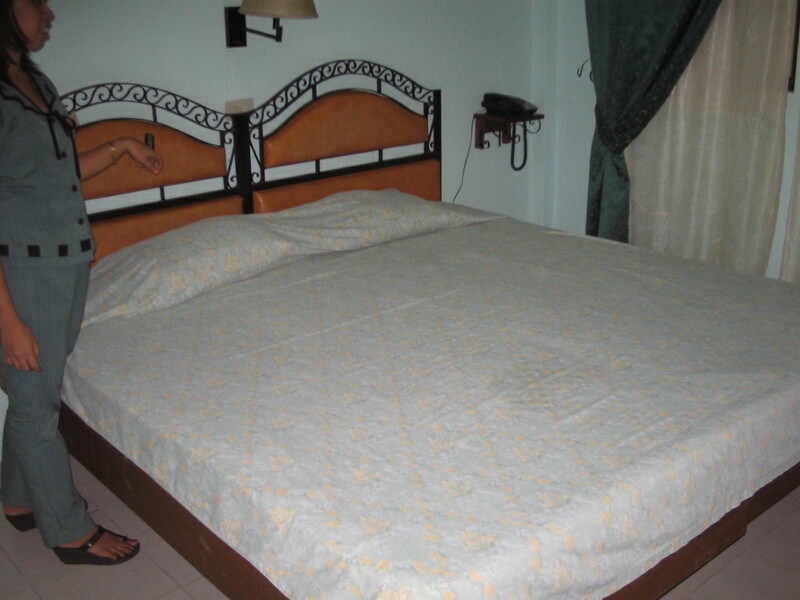 Rates start at P450 for dormitory-type rooms with fans, to P850 for a room for 2 with aircon and hot&cold shower. Call them to book at phone (038) 5310030, or (038) 2382398. Next town is Duero. It is another beautiful coastal town. 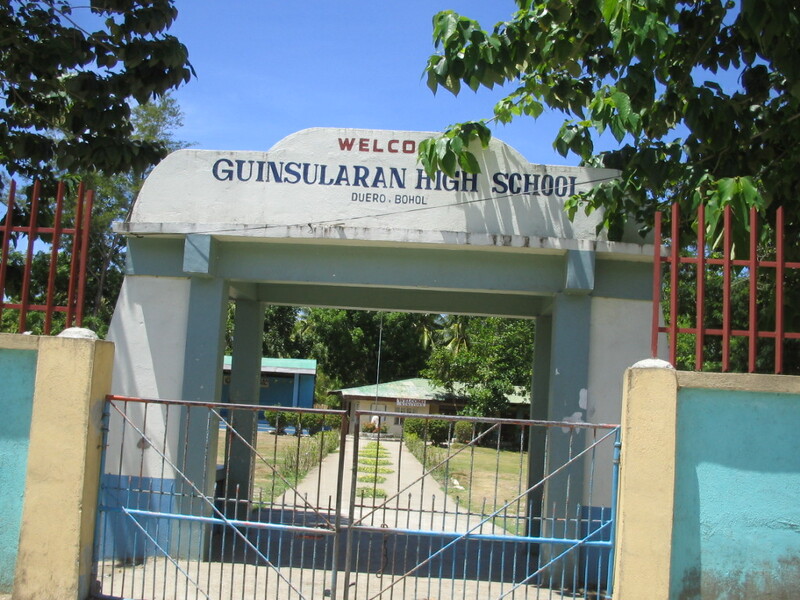 Guindulman is host to St Mary Academy and has a thriving trade going in its commercial center. 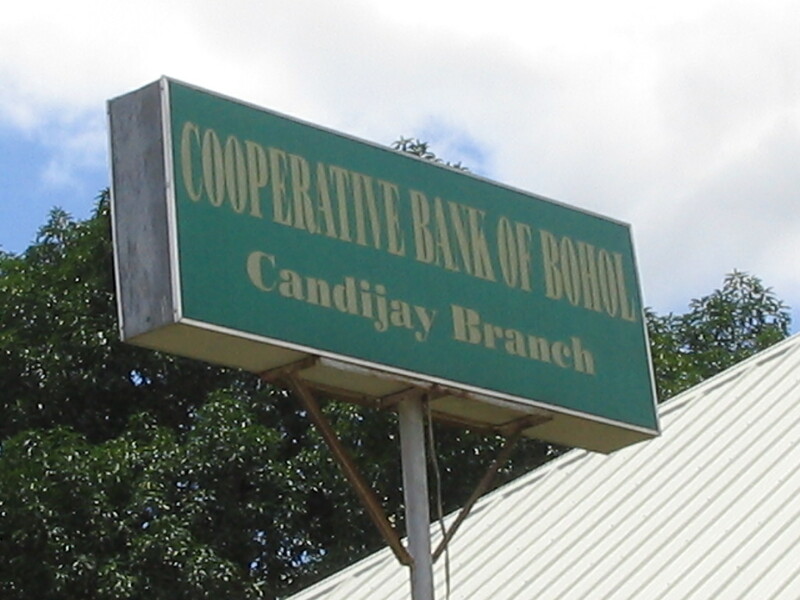 Candijay is a sleepy town that leads to Mabini, a town that is the jump off point to several islands like Calamangan, Tabangdiao, Cantil and Lumislis. 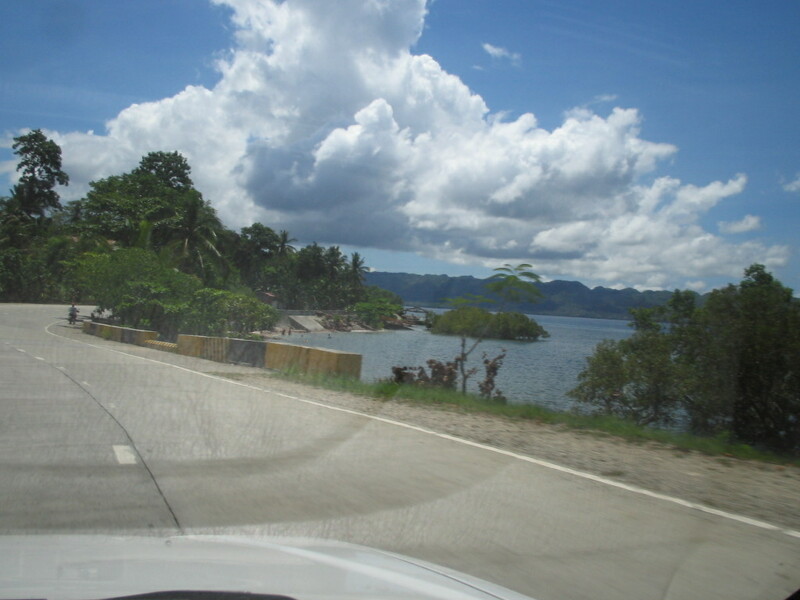 gateway to Mabini town and more islands ! ! ! 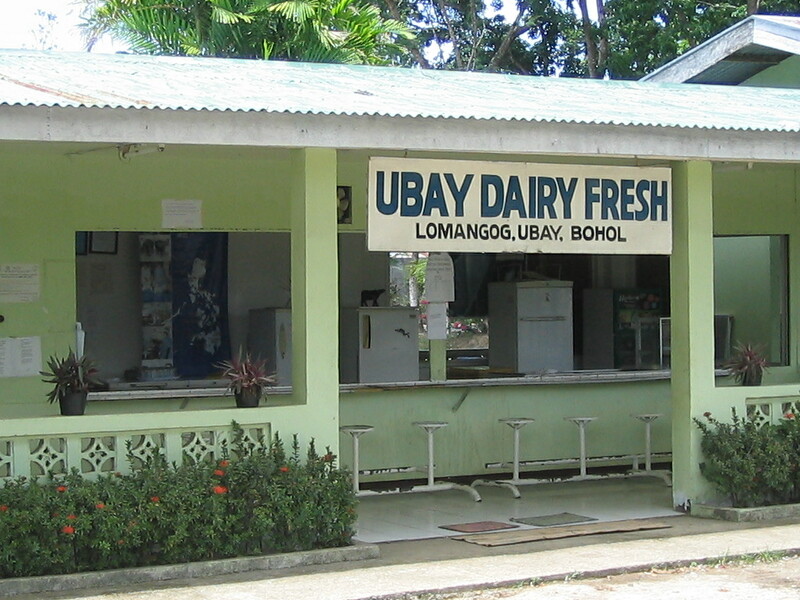 From Candijay, we passed by the town of Alicia to get to the town of Ubay. 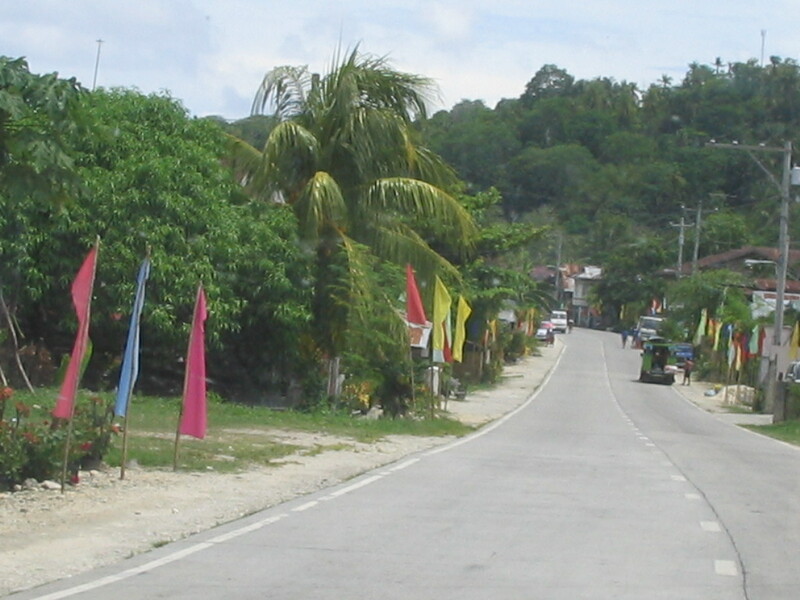 Ubay is a major Bohol town. 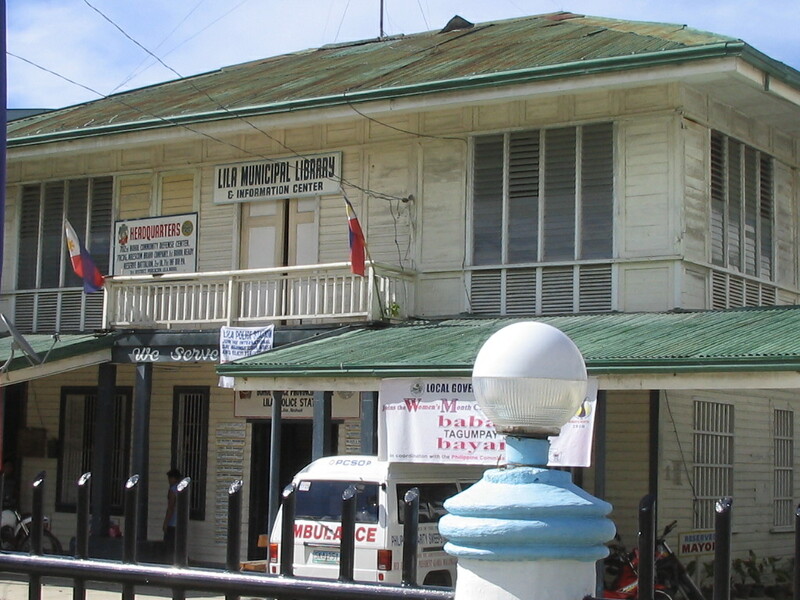 It is also the farthest town from Tagbilaran, the provincial capital. 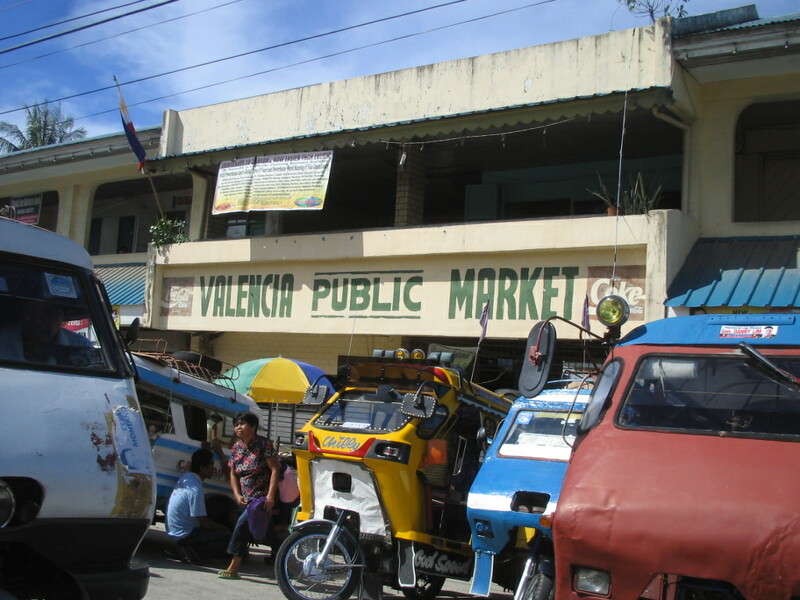 It is a port town that is host to several businesses like restaurants, hotels, banks, and shopping centers. 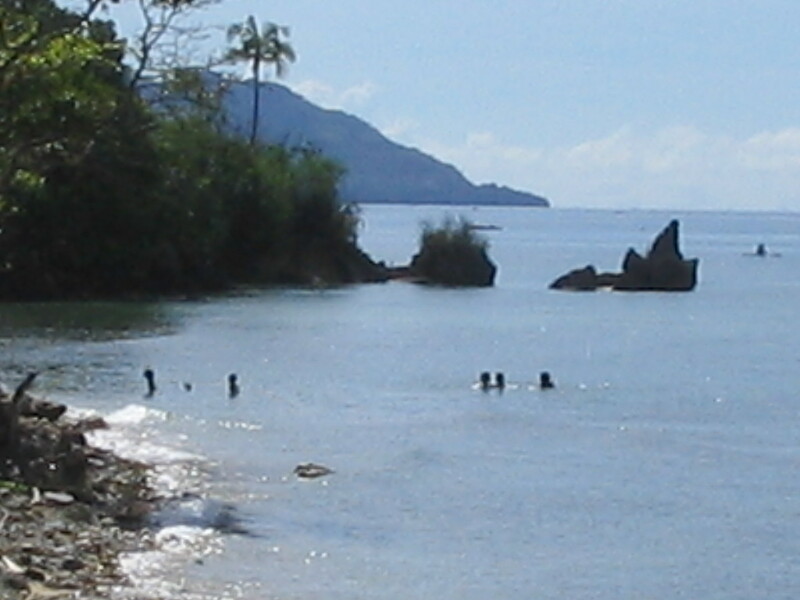 Crossing the Cunigao channel from Ubay will bring visitors to Lapinig Island where the town of Carlos P Garcia is located. 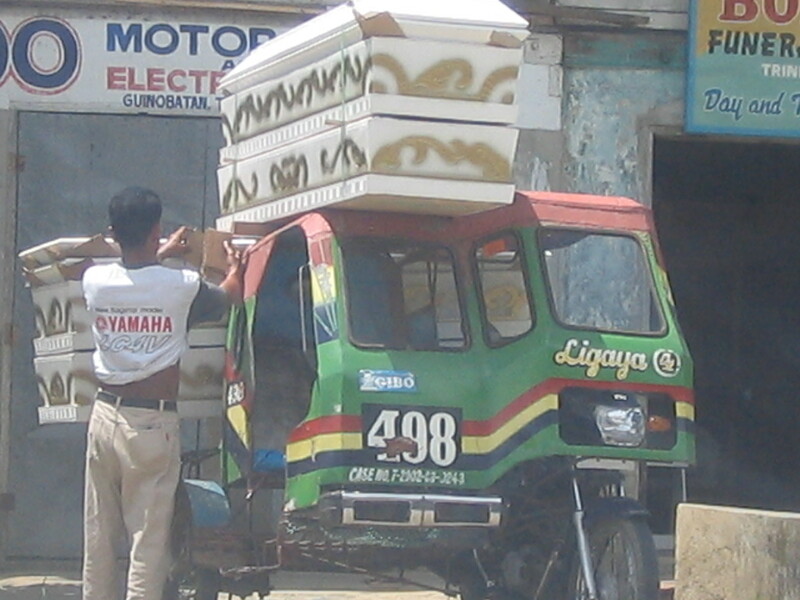 In Trinidad town, I saw a rather unique sight: coffins being loaded onto a tricycle. I just hope they do not do the same thing during burials. 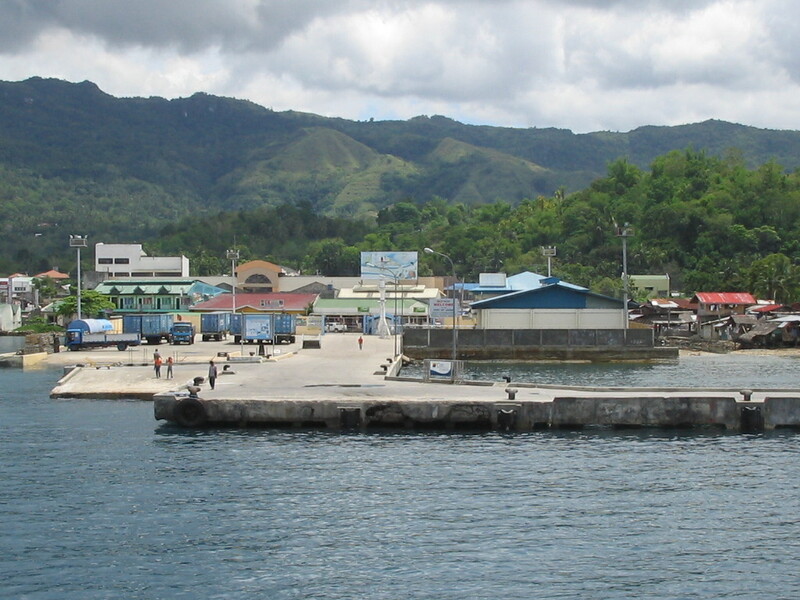 Next town is Talibon, another port town. 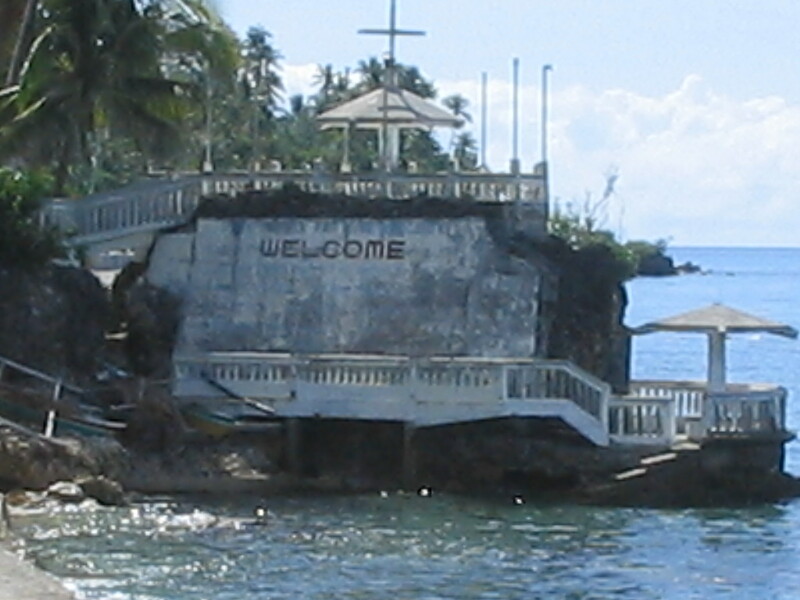 Talibon is the jump off point to the islands of Tambo, Banbanoan, Mahanay, and Jau. Getafe is still another port town In other literature, the place is also called Jetafe. 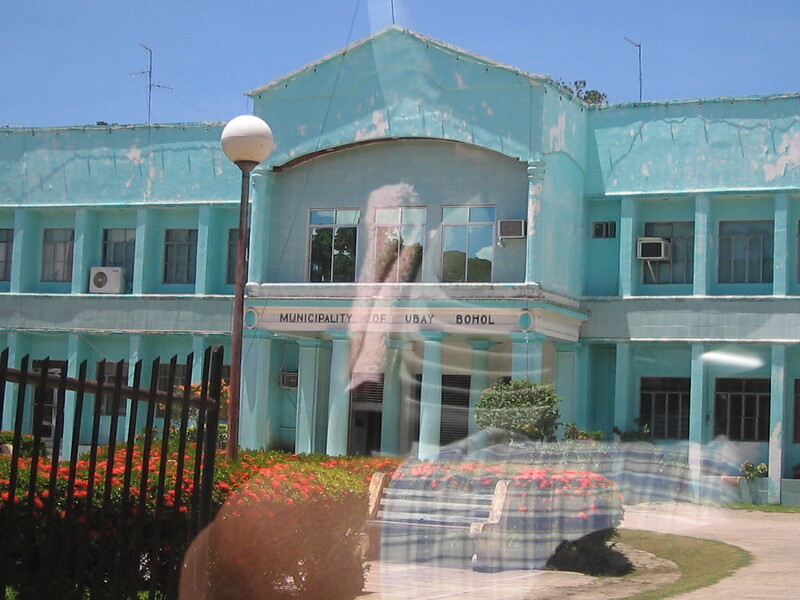 This town is a sister city of a Spanish town called Getafe where a street is called Isla de Bohol. 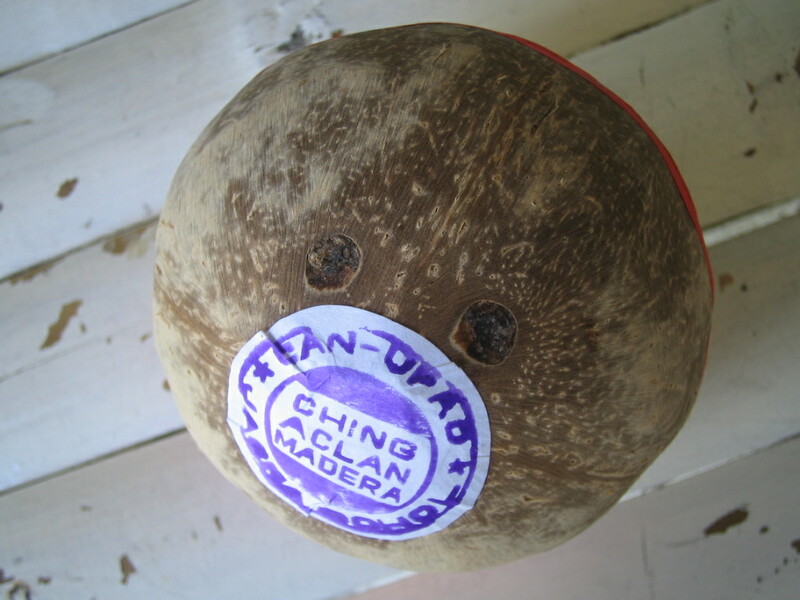 From Getafe, visitors can go to Jandayan and Banacon islands. 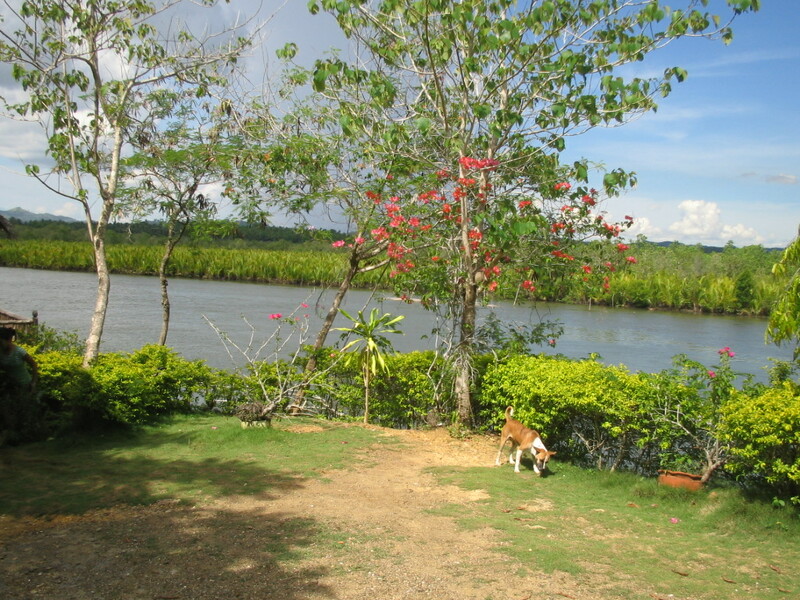 Buenavista is a town that is host to the oyster farm along a beautiful river. 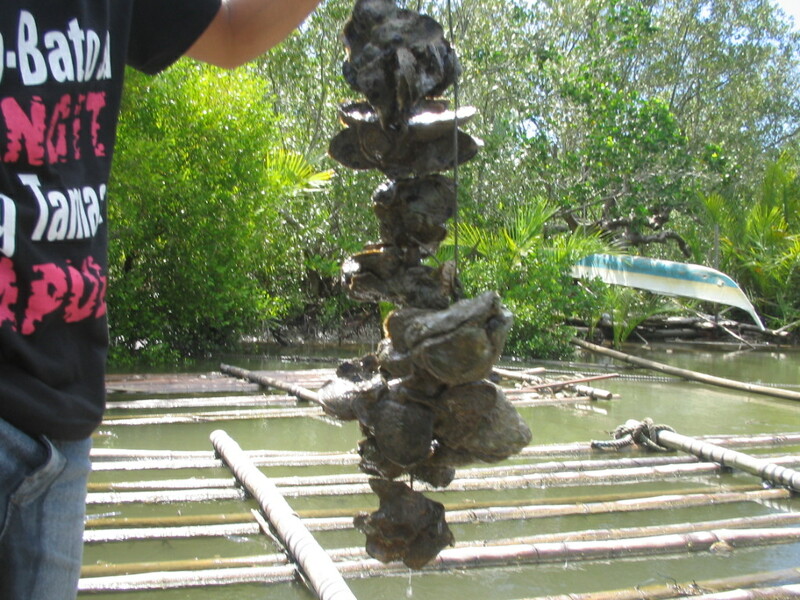 I checked out the industry, riding on a banca (P100) to get to the bamboo beds that serve as breeding places for oysters. 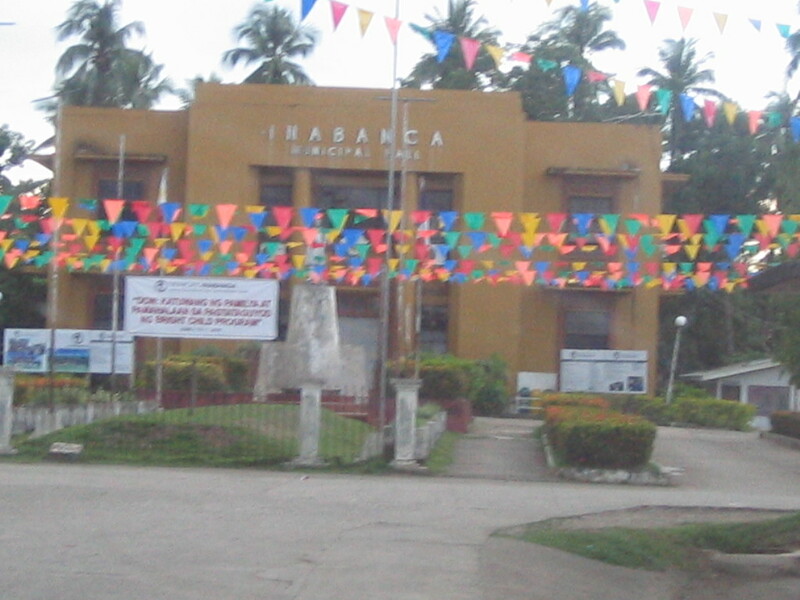 From Buenavista, the next town is Inabanga, and then Clarin, until we reached Tubigon. 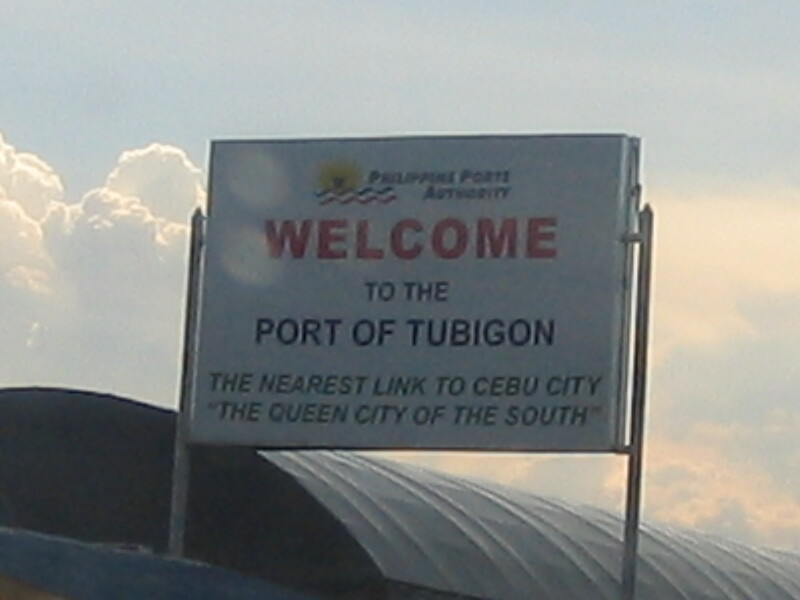 We got to Tubigon, another port town.Tubigon is closest to Cebu and is serviced 2x a day by roll-on-roll-of transport from Cebu. 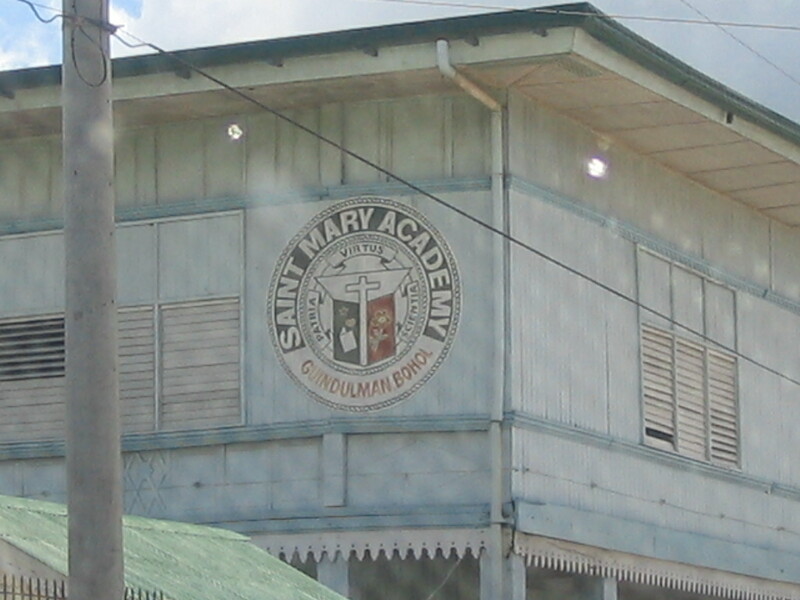 Passed by Calape. before reaching Loon. 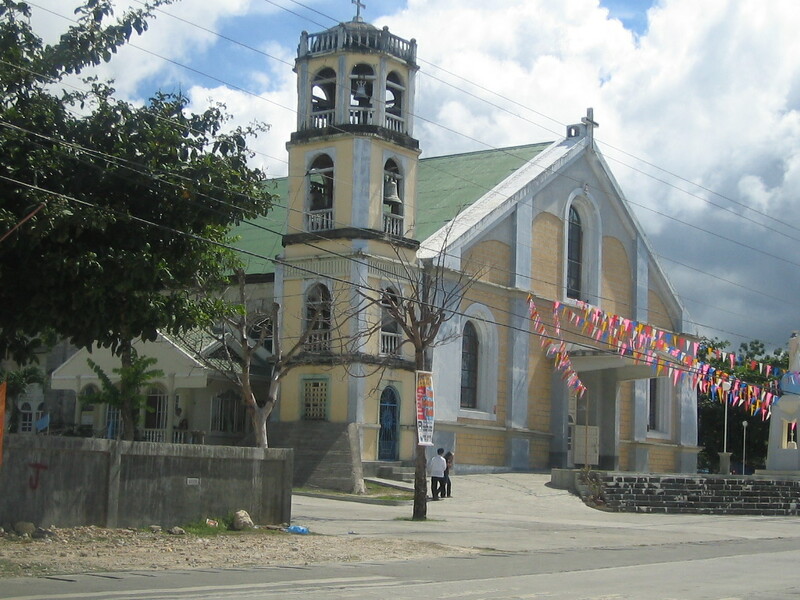 Loon is an old town where boats from Cebu bring visitors to Bohol. 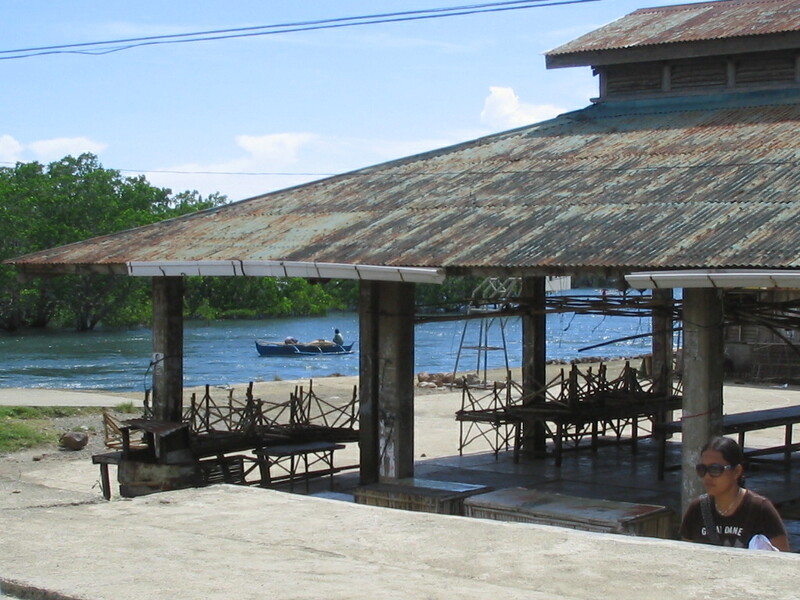 I actually saw the pier in San Jose town where passengers are brought to Loon, Bohol. Antequera is famous for its Mag-aso Falls. I just had to make this detour from my coastal road drive to see the falls. Why? In the WOW Magic sing video od places in the country, the Mag-aso Falls was then the only remaining sight I have never been to. “Aso” means smoke or fog, and this is the effect of the cascading waters of the falls. 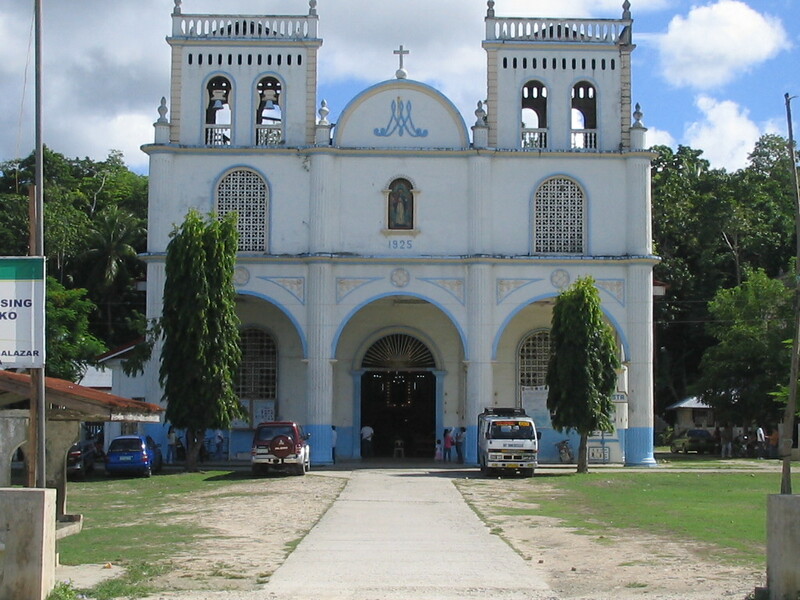 Back to the coastal towns, and we are in Maribojoc. 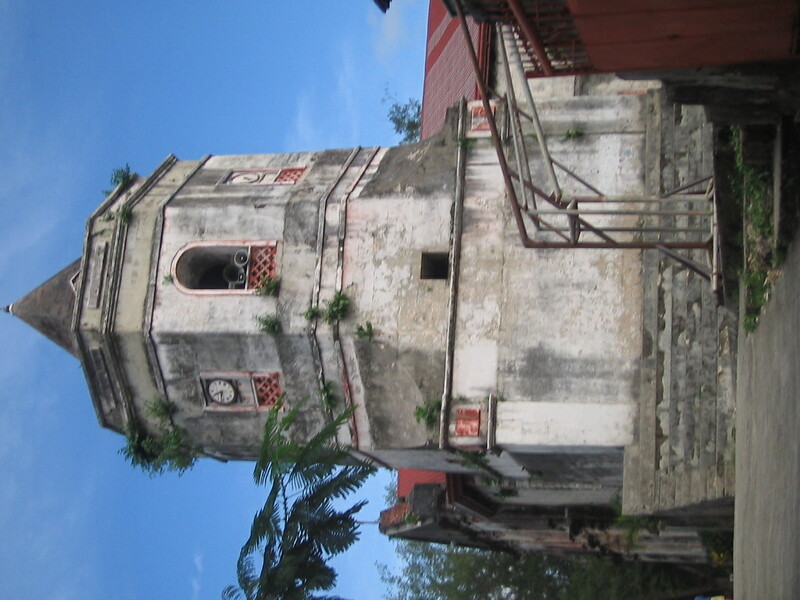 This town is famous for the Sta Cruz watchtower. 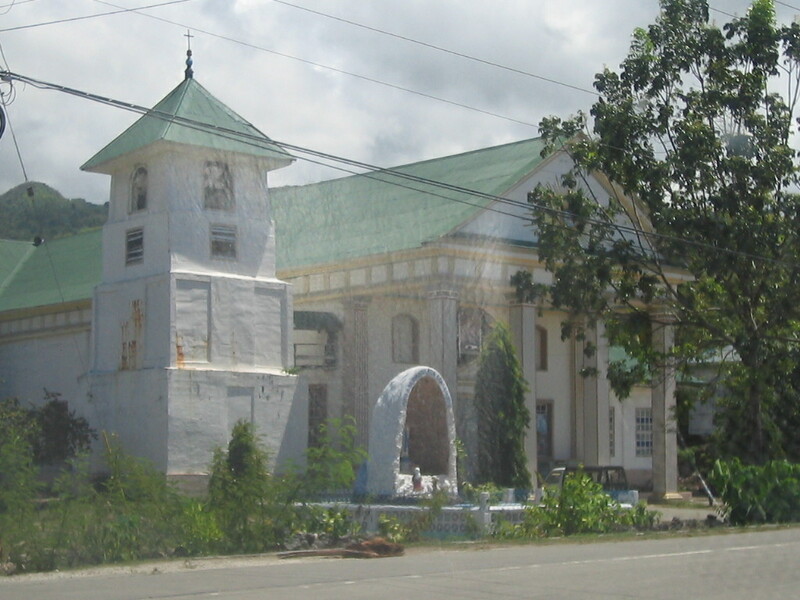 The last town before hitting Tagbilaran City is Cortez. This town is being developed as another tourism destination, with the launching of the project done only a few days before my visit. Unfortunately, the center was closed when I dropped by. 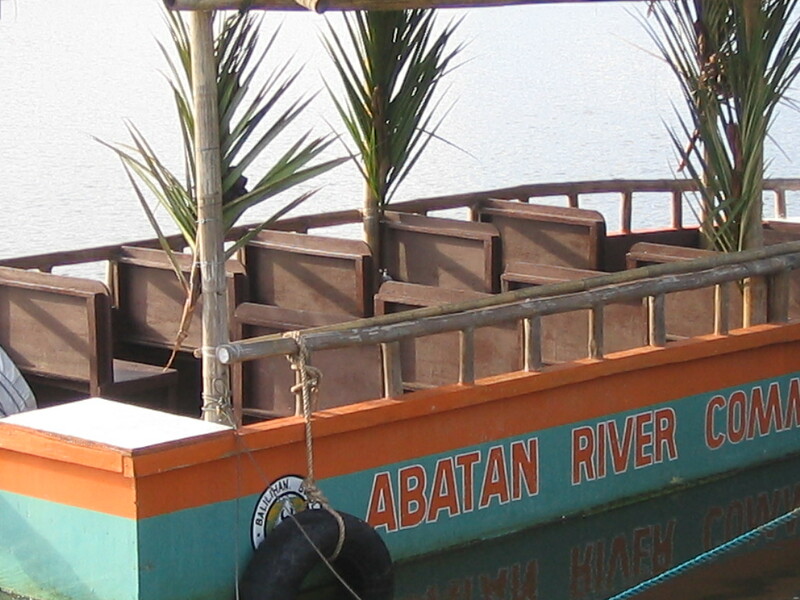 I was told visitors are taken to a boat that is configured to have seats like those in a bus, and the boat takes visitors to the 5 towns for a taste of local culture. Like riding a carabao. Snacks and lunch are part of the package. Check this out when you visit. 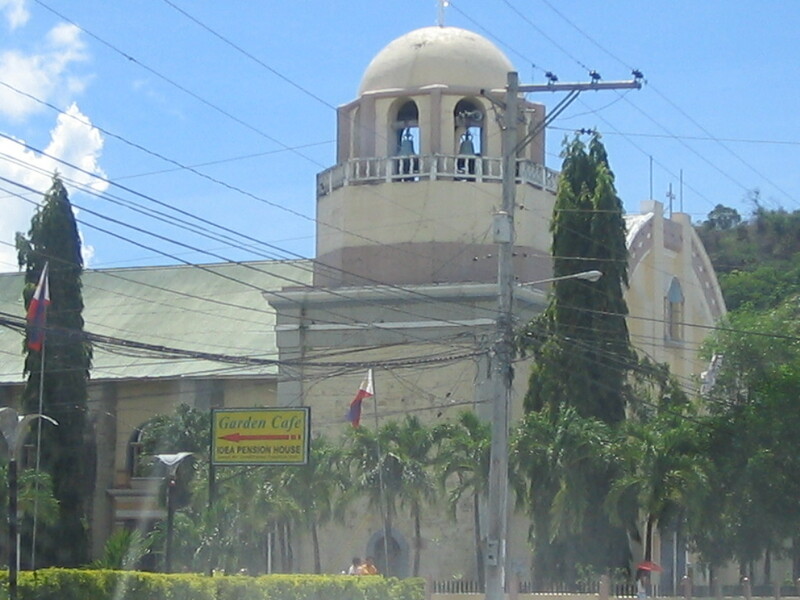 The coastal road trip around the whole island of Bohol ends with a return to Tagbilaran City. I figure that visitors can do this trip on public transportation in 2-3 days. 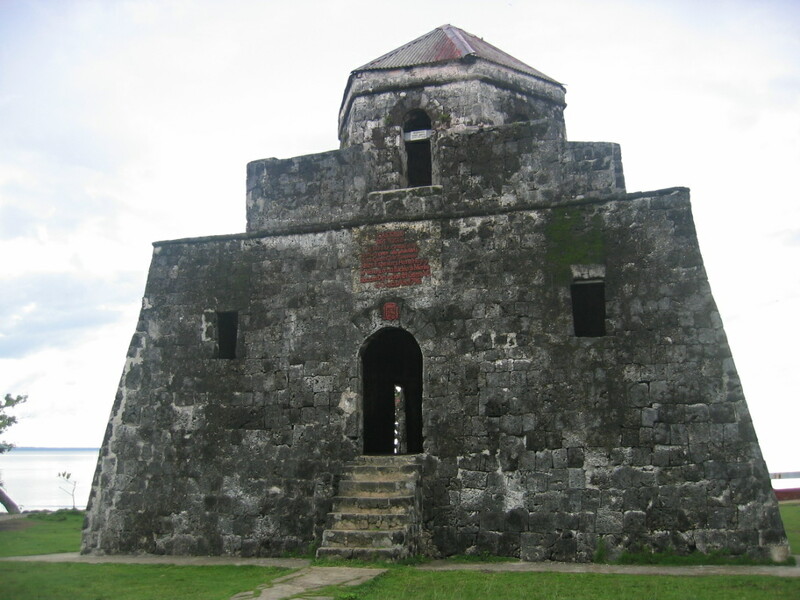 Or you can opt to tour the whole island for one day a rented car for P4,500. I guess the car rental was well worth it.